The harsh glare and flickers from typical fluorescent lighting can cause eyestrain, headaches, even anxiety! 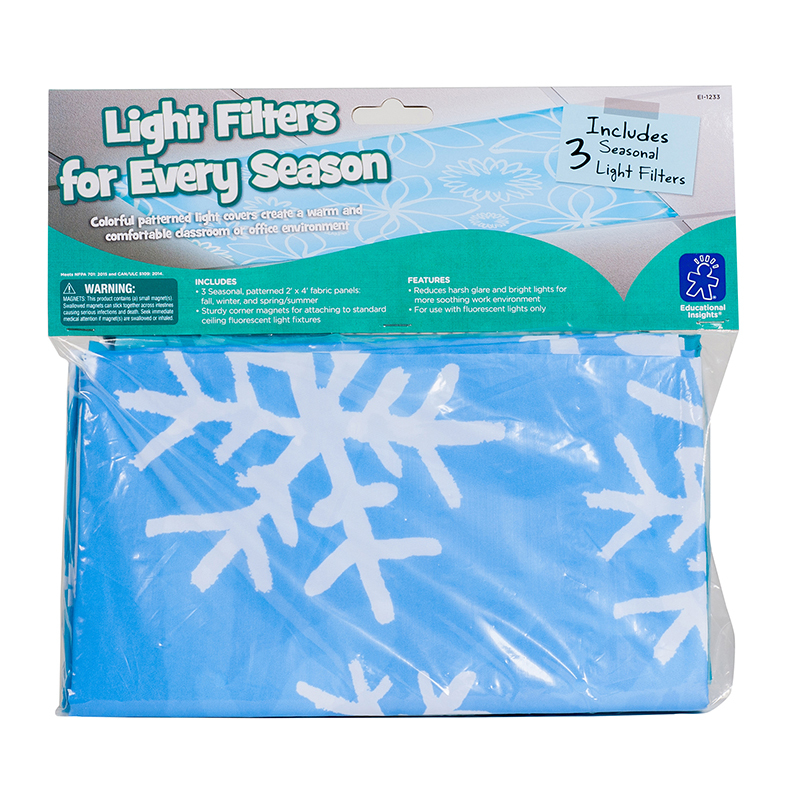 Tone down harsh glare and create a more calming and seasonally festive environment with Light Filters for Every Season. Featuring three beautifully designed fabric panels for fall, winter, and spring/summer, each with easy-attach magnetic corners, these fabulous filters are perfect for the classroom and the office!